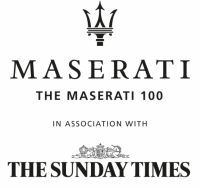 Maserati has once again opened up nominations to the general public for this year's 2019 ‘Maserati 100’ in association with The Sunday Times. The ‘Maserati 100’ nominations page will open at 07:00 Friday 1st February. Once again Maserati is inviting the nation to submit entrepreneurs they believe should be considered for the prestigious list, and who are exemplar innovators – someone who has had a big idea and converted it into a successful business.